What is the Evolutionary Collective? The Evolutionary Collective Teacher Body consists of a dedicated vanguard of teachers who embody and emanate the consciousness of shared unity and mutual awakening. They are certified to teach the 5 Module Course, MUTUAL AWAKENING: The Essential Guide to WE-Space Meditation and lead collective Mutual Awakening Practice sessions on the Evolutionary Collective Global Practice Community. You can find out more below about where you can participate in classes and events with others from your local community. A number of the teachers also provide private and semi-private sessions that are uniquely and powerfully designed to work through individual issues coming from unitive realization. Keren Clark, MA is a licensed Psychotherapist, a Mutual Awakening Teacher and a certified Transformational Coach who brings enormous training and finely tuned intuition to helping her clients make dramatic shifts in their relationships and in their lives. When working with people Keren weaves together the powerful work of Mutual Awakening, the principles and practices of Feminine Power and Conscious Uncoupling and the emotional development model of Dialectical Behavior Therapy (DBT) to guide her clients in liberating themselves from past patterns and in moving beyond their issues. Keren has been in practice for over 30 years. Debbie delaCuesta, LCSW BCC is an Evolutionary Collective Core Teacher. She works with individuals, groups and couples in the process, invitation and challenge of transformation. Her commitment to a supportive and dynamic coaching relationship allows for a deepening of capacity and transformation of personal obstacles. The power of this post-personal work facilitates and supports the awakening to the new paradigm of We Consciousness. Her work as a developmental coach and psychotherapist is informed by her training and experience in Transpersonal psychology, the stages of Adult Development, Polarity Wisdom and Spiritual Intelligence. Also infused throughout her work are the teachings and experience as a student of Mysticism, including Patricia Albere’s Mutual Awakening Practice and the Evolutionary Collective, as well as the Wisdom School teachings of Cynthia Bourgeault, Richard Rohr, and Kashmir Shaivism. She is excited and honored to be in service to those who are called to this emerging new paradigm of consciousness. 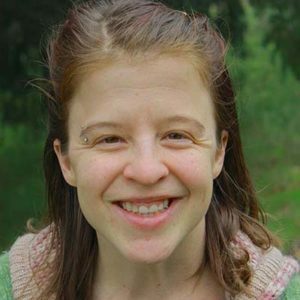 Kristina Johnson, MA is a teacher with the Evolutionary Collective. She facilitates online practice for the Evolutionary Collective a couple times a week, and teaches the Mutual Awakening practice in Steamboat Springs Colorado and surrounding areas. She started with the Evolutionary Collective in 2016 and joined the teacher training the following year for fuller immersion in the emergence of the new paradigm – the paradigm of unity consciousness and mutual awakening. She has a background in somatic practice, Rolf Structural Integration, Process Work, movement, shamanic journey, Integral Theory and Buddhist meditation. She is inspired by the simplicity, depth and intimacy of the Mutual Awakening Practice and how quickly it leads us to deeper connection. Donna Kjonaas is an Evolutionary Core Teacher, teaching the Mutual Awakening Practice so that others can experience the miracle of slipping under the membrane of separation to the inside where together life is lit up, flow starts, hope emerges, possibilities appear and transformation happens. Donna has degrees in Communication Disorders, Counseling, Ordained Ministry and is a Certified Spiritual Director. In school settings, Donna worked in teams with teachers, parents and administrators to maximize opportunities for growth and development in children. Spiritual formation and faith development were at the heart of her engagement with communities of faith. And her own long term relationships (spouse, friends, siblings, companions) are rich fields for experiencing Divine inspired living that evolves through all seasons of life. Patricia Larish, MA, is a certified Integral Coach, Chaplain, and Evolutionary Collective Core Teacher. During sessions grounded in deep trust and safety, clients will explore and engage with past patterns, deep-rooted beliefs, and old wounds in order to discover their deepest expression of wholeness in all aspects of their lives. In her work she integrates the practices of Mutual Awakening with her years of spiritual practice and training, which includes Clinical Pastoral Education and Richard Rohr’s Living School, to guide clients towards their fullest potential and possibility. Toni Monsey, Ph.D is an Evolutionary Collective Core Teacher. She works with individuals and groups to ignite their awakening and growth processes using the emerging practices of Mutual Awakening and Evolutionary Relating that are being developed through the work of the Evolutionary Collective. Clients are supported to actively engage the evolutionary impulse within themselves in order to free themselves from old wounds, habitual patterns, and to access their untapped creative potential thereby discovering deeper meaning and higher purpose in their personal and collective lives. She is a Developmental Psychologist, certified Spiritual Director and Biofield Tuning Practitioner, and the founder of the Heart of Advocacy, the call to be in, with, and for one another in ways that end the cycle of relational abuse and violence. Donna Rodriguez is a mother and business owner living in Summerfield, NC. Being intensely aware of the Divine at an early age has led to her life-long journey of contemplation, service, and spiritual exploration and discovery in both individual and group settings. While earning her degree in psychology, Donna began working in crisis intervention and counseling for victims of sexual assault and domestic violence. She also facilitated community violence awareness training for law enforcement, clergy, students and teachers in the public school system. She later followed the call to Christian service and leadership, both inside and outside of the organized church. It was during her time living in the neighborhood based, decentralized house churches of Jacksonville, FL and Arlington, TX that she stumbled upon the inter-subjectivity of shared unity consciousness. Her experience of union, in conjunction with the scientific discoveries of the unified field of existence, fueled her curiosity to discover the Divine in the world’s religions and indigenous traditions. Currently, Donna works with individuals and groups who share a desire to illuminate the Divine Nature that is inherent in all beings by providing the space and practices to reveal our unseen bond. She also serves in the teacher body of the Evolutionary Collective, a global community of pioneers wholeheartedly participating in the emergence of the new paradigm of Unity. Genevieve (Gen) Schaad is a dedicated practitioner, student, and now certified teacher of Mutual Awakening for over 3 years. Through this work, she has become adept at meeting people where they are at and helping them activate their inner strengths and power to profoundly and ongoingly bring forth their next level in evolution. She has worked one-on-one with people through a 12-step recovery program for over 3 years, specializing in addiction and recovery, and have seen radical improvement in individual’s perception of themselves and in their happiness and well-being. Genevieve’s background in program management at Google, stage and production management and starting her own business has put her in a unique position of working with teams and individuals, understanding the hardships that we all face including addiction and apathy, learning how to overcome obstacles together, and finding deep fulfillment, fun, and intimacy in the process. Her passion includes sharing these skills with others! Genét Simone, Ph.D is a Core Teacher in the Evolutionary Collective, and has been a teacher educator for over 20 years at major universities in Minnesota, Colorado, and Washington. She is a trusted advisor for teachers, school leaders, district administrators, college and university faculty, as well as for graduate students completing a master’s degree or doctorate. Genét has developed a consulting approach that includes a unique blend of cognitive understanding, contemplative practices, and Mutual Awakening Practice (™) ~ all of which move clients into higher levels of confidence and competence so they can live to their full potential. It is great to meet you! I am blessed you are taking the time to get to know me a bit. I am a proud wife and a mother of four, six if you include my dog and my cat! I am a 3rd Generation Long Beach, California native. Living here allows me to be a part of such a diverse community and daily shows me the importance of coming together. It was through my past experiences that have allowed me to be curious and want to learn how we can come together and harness the fruits of the spirit in all of us. I am a teacher in the Evolutionary Collective, as well as a Co-Director of Evolutionary Collective Global, our Virtual Mutual Awakening Practice Community. I am passionate about helping people to live in harmony with one another. Almost two years ago, by a series of events that I would call divine synchronicity, I was introduced to the founder of the Evolutionary Collective, Patricia Albere. Within a 2 hour workshop, I found home, a place that was shown to me when I was much younger and had always believed in. I am on fire to bring this natural way of connecting with one another to the surface. It is my joy and privilege to teach the Mutual Awakening Practice, and it is my passion and vision to share this consciousness and new way of being to every human being on the planet!